If you’ve been on Instagram recently (which we know you have), you’ll have noticed that Reese Witherspoon has been recreating your favourite scenes from Legally Blonde in honour of its 15th birthday. 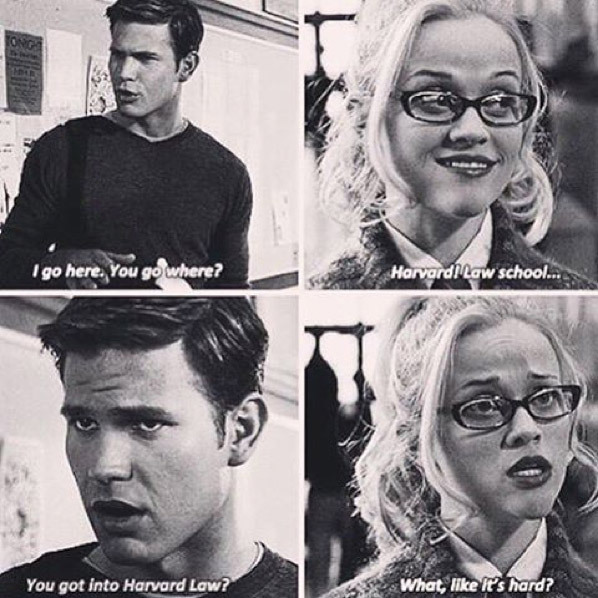 It’s kind of hard to believe that it’s a whole 15 years since Elle Woods went off to study Law at Harvard, isn’t it? To mark the anniversary of the 2001 film, Reese reminded us of a whole load of our favourite Legally Blonde moments by uploading a picture of her in *that* blinding pink sequin bikini, a clip of a cartoon version of Elle’s dog, Bruiser Woods, and of course, a video of her doing the infamous ‘bend and snap’. She also reprised her alter-ego in a number of other clips she posted to Instagram, reminding us of one of Hollywood’s most loveable characters. She also took to Snapchat to show her fans even more throwback outfits, including the iconic pink bunny rabbit party costume. Much like her alter ego Elle Woods, Reese is no stranger to a party, having thrown herself a star-studded birthday party earlier this year to celebrate turning 40. Speaking to the Instagram Blog, Reese said her Legally Blonde costumes (that she got to keep, btw) are kept in tissue paper in a special storage unit. ‘I keep a close eye on them’, she said, ‘I have a couple of costumes that I feel really special about throughout my career, and those are definitely some of them.’ Ever the fashion icon, Reese has had a whole host of style highs and lows (the Legally Blonde outfits being one of the highs, obviously). Reese said that ‘bend and snap’ was originally a choreographed musical item in the film, but was ultimately cut down. This hasn’t stopped it from being one of the most memorable bits of the movie, though. ‘That is still the most asked request I get from people,’ she said.